In 2014 BSF Swissphoto was contracted to acquire aerial laser and photo data of the entire canton of Thurgau (990 km2). 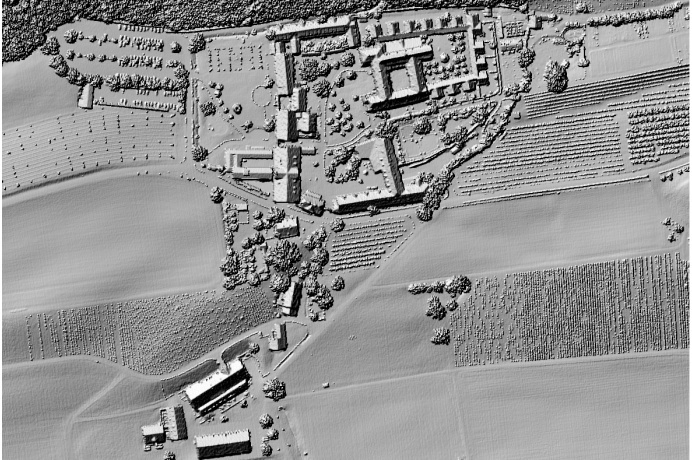 The LiDAR data acquisition was carried out during 9 days (33 flight) in February and March 2014. 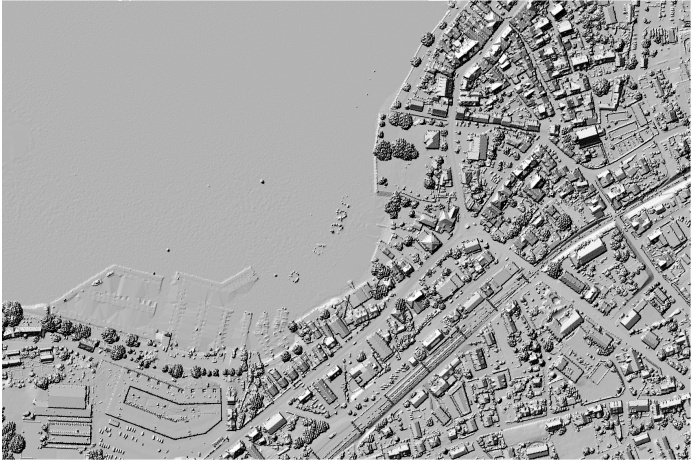 The 8 pts/m2 point cloud was used to produce a high density digital terrain and surface model. The aerial photos were captured with our Ultracam Xp on 3 days in May 2014. 6100 images with a GSD of 8cm were collected during a period of 10h flight time. They formed the basis for a digital RGBI orthophoto with a resolution of 10cm.